Breakdown oscillator is based on the observation that the longer the price stays within the lower Bollinger Bands line, the higher the probability of its falling. Slope factor - the stronger the downward movement, the greater the negative value of the oscillator. 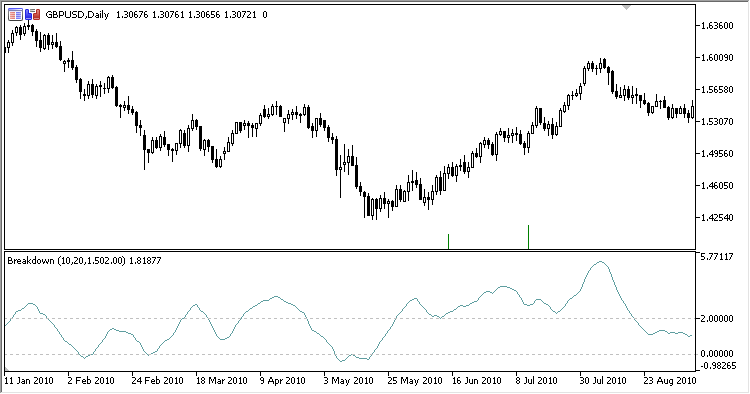 Skyscraper_Fix_Signal indicator shows information on the current trend using the values of the Skyscraper_Fix indicator with a fixed timeframe.